Colt n' Maggie: The Tim Tam Slam!!!!!!!! 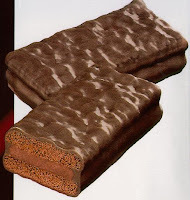 I just introduced my office to the Tim Tam Slam and we are now all searching the web for a place to buy more Tim Tams! Yum, I will have to try it very soon. We are trying it with Kit Kats today and it is good. . . not as good as the Tim Tams, but pretty tasty! we'll have to take a special trip to target just for this treat. thanks for the insight. WHAT!? How could I not know about something sold at Target?! We did The Slam when we went to Australia in 07. They are insanely bad for you - but worth it. I'm getting some tomorrow! P.S. - You can buy them at the Asian market just a few doors north of Los Hermonos on University Ave, in Provo. I went, I bought, I tried, I LOVED! Thanks for a new bad-for-me-but-irresistible habit. (it works with herbal tea too - yum). Britta and Tom were very excited to show us how to properly enjoy a Tim Tam when they returned from Australia. I will have to pick some up for my own stocking! Tom got me Tim Tams for Christmas. Awesome!